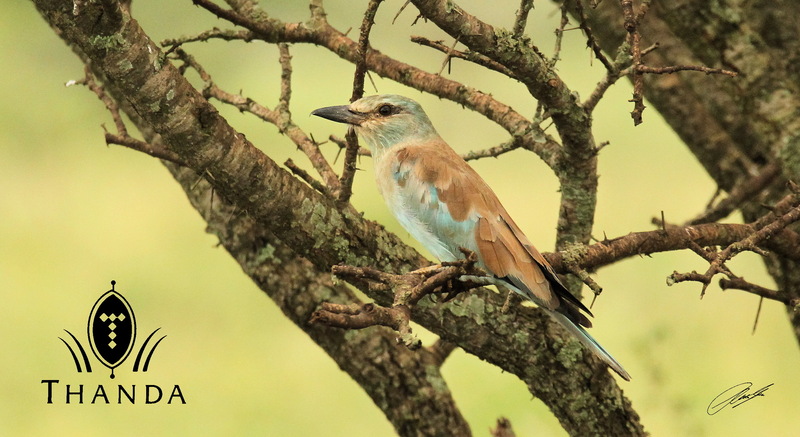 Today’s picture is an image of a European Roller, one of my favorite “Summer-Birds” in South Africa. The European Roller (Coracias garrulus) is the only member of the roller family of birds to breed in Europe. It is a long-distance migrant, wintering in southern Africa. Rollers perch prominently on trees, posts or overhead wires, like giant shrikes, whilst watching for the large insects, small reptiles, rodents and frogs that they eat.